Suspected racist killer Kenneth Gleason is once again back in police custody and is now expected to be booked on multiple charges in connection with two possibly racially motivated killings. Gleason, 23, has also reportedly been connected to a third shooting in which he allegedly shot at the home of a black family, although, thankfully, no one was injured. According to The Advocate, Gleason will be booked on two counts of first-degree murder in the shooting deaths of 59-year-old Bruce Cofield on Sept. 12 and 49-year-old Donald Smart on Thursday. 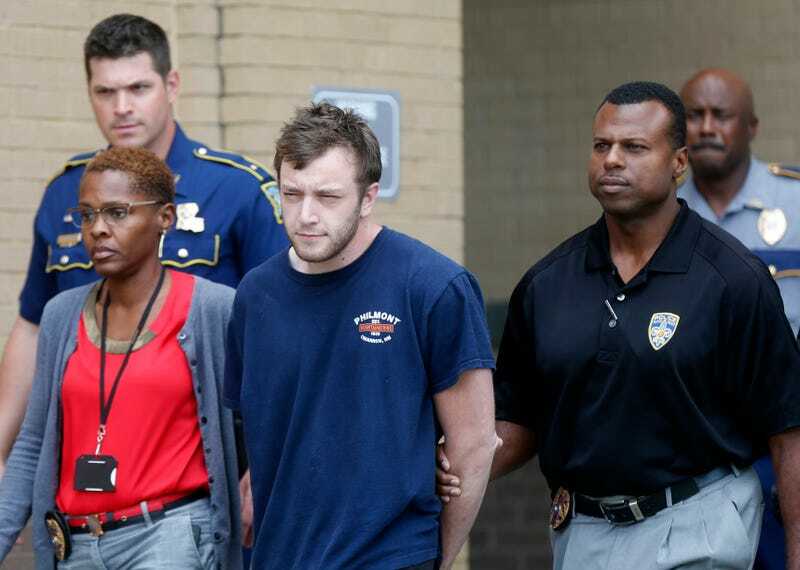 Gleason will also face charges of attempted first-degree murder, aggravated criminal damage to property and illegal use of a weapon, the East Baton Rouge Sheriff’s Office confirmed. Gleason was able to bounce in and out of police custody all weekend. The Advocate notes that on Saturday an officer took Gleason into custody, where he was questioned. Search warrants were issued, and Gleason was arrested on two unrelated drug charges but was able to post $3,500 bond and was released from prison Sunday. By Monday, Gleason was back again in police custody after having allegedly stolen a copy of The Hitchhiker’s Guide to the Galaxy from a bookstore. He was booked on one count of theft and released on a $500 bond early Tuesday. Now it’s Tuesday afternoon and he’s once again back in police custody. According to The Advocate, although Gleason was named a person of interest in the killings, police claim that at that point they did not have enough evidence to arrest him on murder counts. What apparently changed in between that time is that DNA evidence was obtained from shell casings at the scene of the homicide on Thursday that matched a swab from Gleason. According to the Associated Press, however, law-enforcement officials searching Gleason’s home over the weekend uncovered a copy of an Adolf Hitler speech, so ... there’s that. Read more at The Advocate and The Guardian.